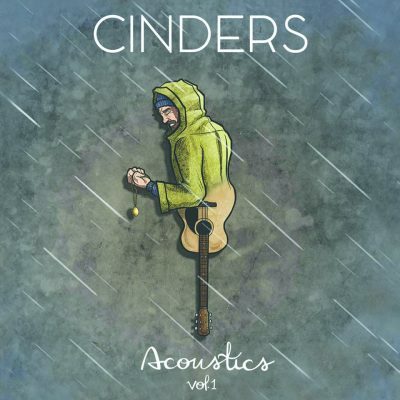 Back with their second release of the year, spunky Utah pop-rock band Cinders have released a collection of acoustic tracks. Most are familiar tunes slowed down with feeling, and others are new songs specific to the release. Keeping up with a busy schedule of touring and an ever-so-active presence on social media, Cinders still find the time and energy to release more music, which is nothing short of impressive. This release definitely feels like something to tide you over between major releases, keeping things fresh by introducing “Shine,” “TBD” and “Unhinged” while reimagining songs “Moody Blues,” “Locked Up” and “Found.” Don’t let the acoustic facelift of the few returning songs let you believe these are slow and dreary renditions. “Locked Up” remains just as upbeat and fun as the original, and “Moody Blues” really allows listeners to enjoy and soak in its lyrics. The new songs also fit in with the general sound of Cinders, with lighthearted lyrics paired with poppy acoustic melodies and upbeat, light percussion. The rendition of “Found” really comes into its own acoustically with the amazing usage of xylophone to substitute for the original guitar riff. This collection concludes with “Unhinged” a slower and more somber track which comes in hauntingly with simple guitar plucking and beautiful backing accordion. The track as a whole comes across with a The Front Bottoms vibe and acts as a perfect sendoff to this volume of songs.